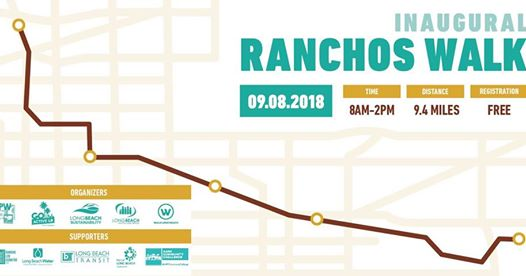 The Fair Housing Foundation will be holding a Tenant Rights Workshop at the Neighborhood Resource Center at 100 W. Broadway #550, Long Beach, CA 90802 from 2:00pm – 4:00pm on Monday, August 27, 2018. This workshop is free and open to the public. Attendees will learn about how they are protected under fair housing laws, what their rights and responsibilities as tenants are, and how to deal with tenant-landlord disputes. A housing counselor will also be on hand to answer any questions from participants. September 8th – Walk History! A 10 mile (approx.) Rancho to Rancho walk. With Walk LB!